Raffaello Borghini's Il Riposo (1584) is the most widely known Florentine document on the subject of the Counter-Reformation content of religious paintings. 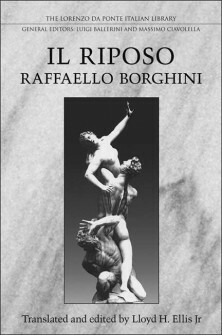 Despite its reputation as an art-historical text, this is the first English-language translation of Il Riposo to be published. A distillation of the art gossip that was a feature of the Medici Grand Ducal court, Borghini's treatise puts forth simple criteria for judging the quality of a work of art. Published sixteen years after the second edition of Giorgio Vasari's Vite, the text that set the standard for art-historical writing during the period, Il Riposo focuses on important issues that Vasari avoided, ignored, or was oblivious to. Picking up where Vasari left off, Borghini deals with artists who came after Michaelangelo and provides more comprehensive descriptions of artists who Vasari only touched upon such as Tintoretto, Veronese, Barocci, and the artists of Francesco I's Studiolo. This text is also invaluable as a description of the mid-sixteenth century reaction against the style of the 'maniera,' which stressed the representation of self-consciously convoluted figures in complicated works of art. The first art treatise specifically directed toward non-practitioners, Il Riposo gives unique insight into the early stages of art history as a discipline, late Renaissance art and theory, and the Counter-Reformation in Italy.